Science and technology are leading the way for designing and constructing safe, efficient and resilient homes and buildings. Up-to-date building safety codes and standards enable technology to be incorporated into buildings while ensuring safety for lives, properties and investments. 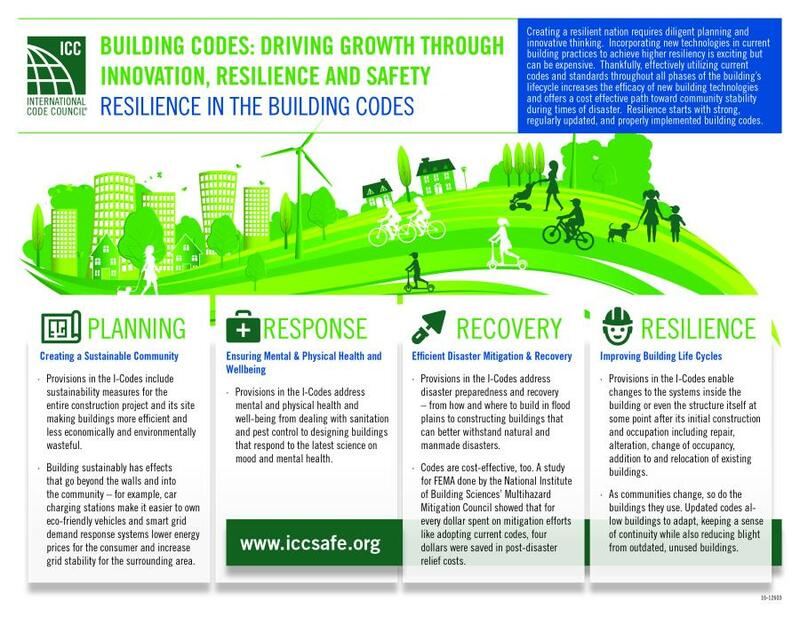 The International Code Council joins its 64,000 members and professionals from the building construction, design and safety communities to highlight the importance of “Advancing Resilient Communities through Science and Technology” during week 2 of the 38th annual Building Safety Month. This week continues the month-long, international campaign to highlight the importance of building safety, building codes and the officials who maintain them. Building departments and communities around the world are hosting their own celebrations to bring attention to how codes affect our daily lives. Find out more about the events in your area. Also this week, the Code Council partnered with WAMU, the Washington, DC, NPR affiliate, to promote Building Safety Month – tune in online or on your radio. “BOMA International is proud to be a founding partner of ICC. Our members know that buildings are safe and strong and will serve them well by complying with the ICC family of codes. BOMA International also is proud to partner with ICC on sponsoring Building Safety Month. We place great importance on creating a safe environment for the people that work, live and play in our member buildings,” said Robert M. Brierley, BOMA Fellow, Chair and Chief Elected Officer of BOMA International, a week 2 sponsor. For even more resources, visit www.buildingsafetymonth.org, and join the online conversation using the hashtag #ICCBSM18.